After nearly two decades of NBA coaching experience, Weber takes on a new challenge. In 2006, author Jack McCallum published a landmark book on the behind-the-scenes workings of an NBA franchise, :07 Seconds or Less: My Season on the Bench with the Runnin’ and Gunnin’ Phoenix Suns. The book was an intimate look at one of the most entertaining and intriguing basketball teams in recent history — the mid-00’s Suns — featuring star players like Steve Nash, Amar’e Stoudemire, Shawn Marion, and more. But in the aftermath of the book’s publication, the real scoop for McCallum lay in the time he spent profiling the team’s close-knit coaching staff, including Mike D’Antoni (who was the 2005 Coach of the Year, and won that honour again with the Houston Rockets last month), Marc Iavaroni, Alvin Gentry, Dan D’Antoni, Todd Quinter, and the Long Island, New York native Phil Weber. Weber turned out to be one of the revelatory characters in the story, described by McCallum as a true “clinician”, and by other coaches as a relentlessly positive thinker. After nearly two decades of NBA coaching experience, Weber will be spending the summer of 2017 trying out a new basketball challenge unlike anything he had ever done before. He has been hired as the head coach of India’s Men’s National Basketball Team and is already in New Delhi to work with the squad. He will be expected to lead India to the prestigious FIBA Asia Cup in Lebanon in mid-August. Team India is currently practicing at the Jaypee Greens Integrated Sporting Centre in Greater Noida, the same facility that is also used by NBA Academy India for their recruits. But Weber won’t have the luxury of much time to find his footing in his temporary new home, halfway across the world: in mid-July, he will be leading India to Taiwan to take part in the William Jones Cup, an early test to see his coaching philosophies in action in a practice tournament before the major FIBA championship next month. The practices, Weber says, are in overdrive: two-a-day, starting early, ending late. Known as “Drill Phil” for his coaching clinics, Weber’s early experiences with Team India have been positive – even if the team is currently a little short-handed. Several of the top players have other obligations and won’t be part of the William Jones squad, including Amritpal Singh (who has been invited to play for the preseason with Australia’s NBL team Sydney Kings), Vishesh Bhriguvanshi (out with injury), Palpreet Singh (playing in 3x3 tournaments in Japan) and India’s first NBA-draftee, Satnam Singh (playing for the Dallas Mavericks in the NBA Summer League in Las Vegas). 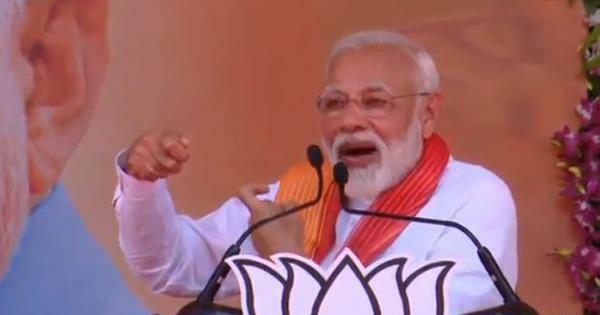 Expectations for India at full strength are going to be high. Last year, at the FIBA Asia Challenge in Iran, India enjoyed their best basketball outing in nearly three decades. This is a secondary tournament that usually features depleted squads from most of Asia’s powerhouses, but India capitalised on their opportunity to upset higher-ranked sides like China, Philippines, and Chinese Taipei to make it to the tournament’s Quarter-Finals and finish at seventh place. 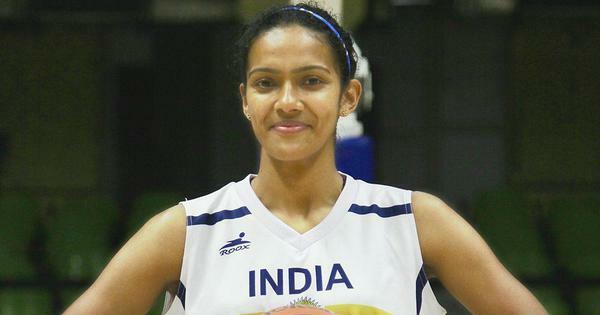 Stars like Amritpal, Bhriguvanshi, and Amjyot Singh gave real hope for the immediate future of Indian basketball. At the FIBA Asia Cup next month, where most teams will be at their best and Oceania’s top teams Australia and New Zealand will also participate, India will face a much-tougher road to replicating their success. For the group phase, India have been drawn in Group A with powerhouses Iran, a talented squad from Jordan, and Syria. However, Weber says that the focus right now is to shape the Indian roster rather than looking ahead at the opponents. The NBA experience that Weber brings will be invaluable to the eager minds of coaches and players in India. 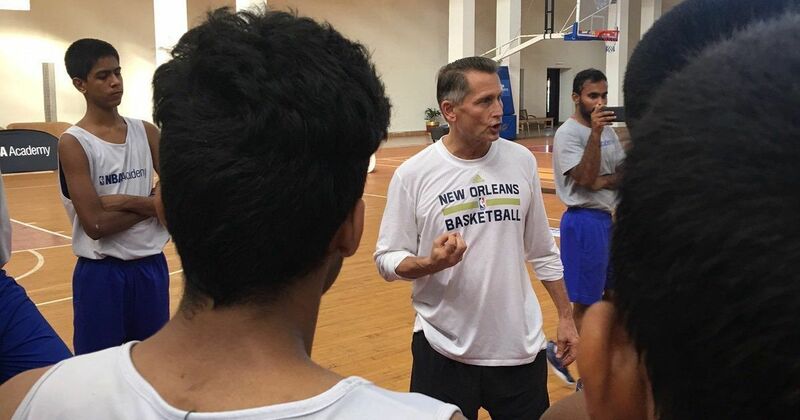 Weber will be the second Indian coach with close NBA ties: from 2011-2012, former NBA player, assistant coach, and interim head coach Kenny Natt took on the position to lead the ‘Young Cagers’. He was followed by accomplished American college coach Scott Flemming, who stayed in India for three years and truly helped the national team turn a corner with significant international victories. Unlike the previous coaches, however, Weber will not be transplanting himself completely out of the United States yet. After a few years as assistant coach with the Pelicans, he will now hold a front-office position with an eye on player-personnel for the franchise. He will only be spending his NBA offseason this summer in India. After the William Jones Cup and the FIBA Asia Cup, he is expected to return to New Orleans for training camp with Coach Gentry and his two big stars – Davis and Cousins – by the end of August. But before he returns to figure out the optimum way to develop offensive and defensive schemes for the two best bigs in the NBA, he’ll have to do so for two of the best bigs in Asia: Amritpal Singh and Amjyot Singh. In the NBA, Weber has been part of a team that have enjoyed cult status (Phoenix Suns), a team that went through a series of ups and downs (New York Knicks), and a team with potential to rise up the ranks (New Orleans Pelicans). But no matter the situation, no coach makes it to the game’s highest level without a winning attitude and an eye for success. India is one of the world’s most-populous nations, and still remains an unpolished diamond in world basketball. With ambitions to rise further up the rankings, Weber’s tactical approach and positive outlook will surely be beneficial to the team. But in the short amount of time available it won’t be possible for Weber – or any coach of any stature – to make drastic changes. Hopefully, the BFI has a long-term plan to create a coaching and player development structure that will bring India on a sustainable, long-term winning track.